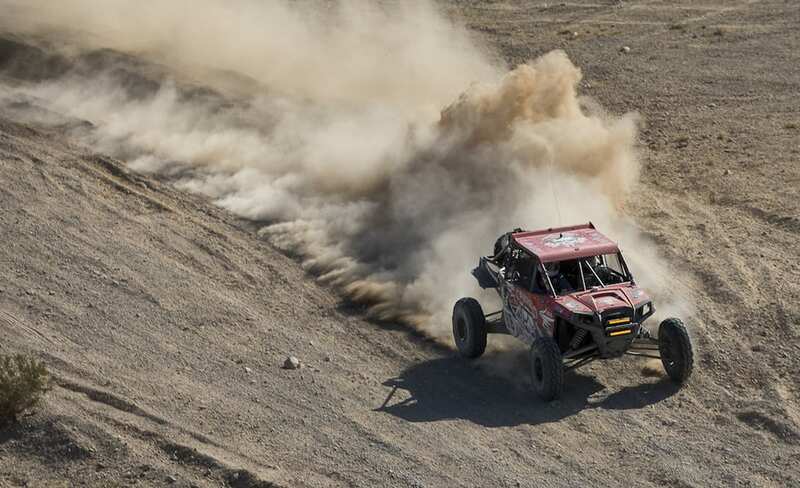 The Mint 400 is the closest thing to the “Super Bowl” that American off-road racing has on the calendar. 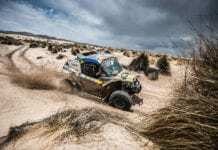 In fact it is by far the biggest off-road race in North America, eclipsing even the 2013 SCORE Baja 1000 by a healthy margin on entries and spectators. The entry list swelled to a remarkable 350+ competitors this year, and a record of 52 of them were spread across the multiple UTV classes. 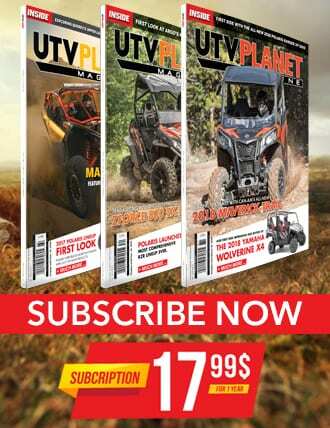 Yes, UTV desert racing has been on the rise for years now, and car counts keep growing, but this years Mint 400 really put a stamp on the sport and solidified that UTVs are here to stay. 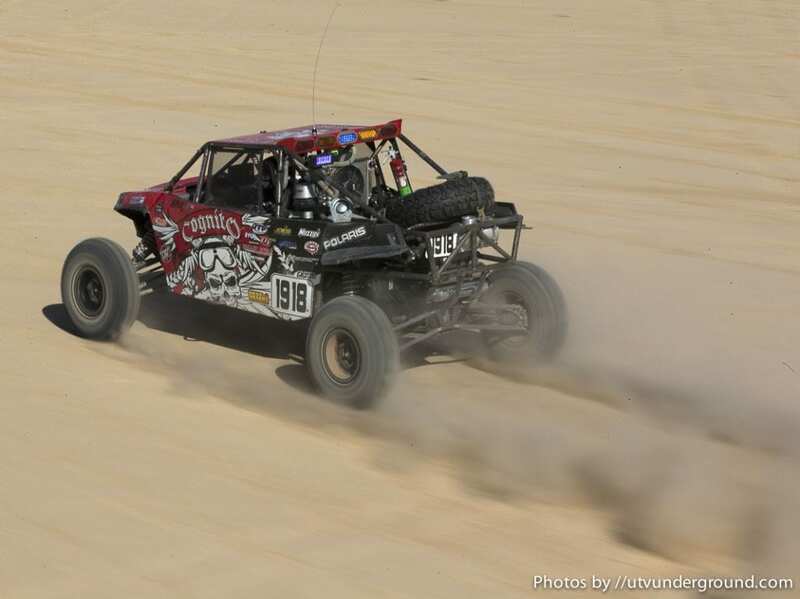 But the Mint 400 is much more than just a brutal off-road race… it’s a spectacle! It began this year on the Wednesday leading up to the race with the massive 100-car vehicle parade down the world famous Las Vegas strip. There’s nothing cooler than seeing 100 off-road cars take over a 3-lane road for nearly a mile, and there were quite a few UTVs in the mix. Everybody on the strip took notice. On Thursday the fun continued with driver autograph sessions, the famous Miss Mint 400 Crowning Ceremony, and then the KMC Wheels Pit Crew Challenge, which saw the best mechanics in off-road battle against each other for cash and prizes. Nearly 10,000 people gathered for these awesome festivities. On Friday, the largest “contingency” and tech inspection in the industry took place. We’re talking 12 MASSIVE square blocks of off-road manufacturers, OEMs, and tons of after market parts suppliers. The Pro Armor Mint 400 UTV Showcase was THE place to be, and on display was a custom 2014 Polaris RZR XP1000 Mint 400 edition vehicle that looked amazing. All 350 race vehicles were slowly pushed down the 12 block contingency and inspected for safety – and as the sun faded into the West on Friday night it was clear this was going to be one heck of a race. 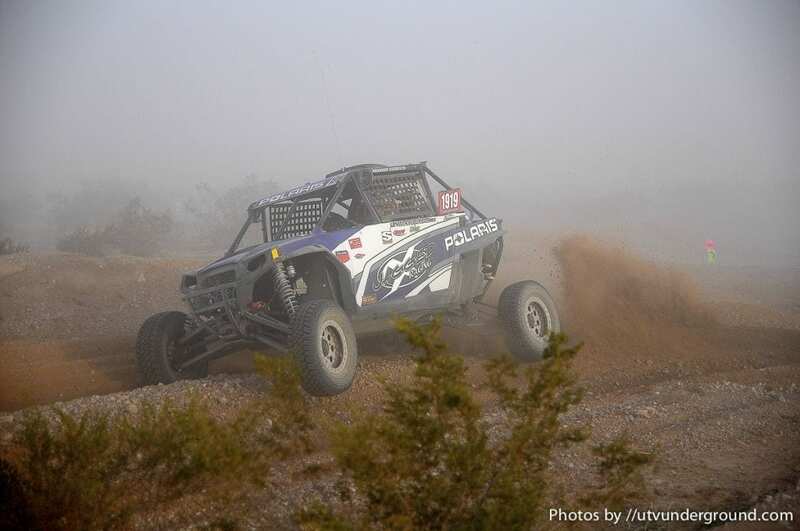 At the Mint 400 the UTVs compete in the “Limited” class race early in the morning. They run a total of two hundred miles or two complete laps. While some complain they want the full 400 miles – the challenge is that it would take 8-10 hours, and force those able to make it that far onto the course with the “Unlimited” trophy trucks that weigh in at 6,000 plus pounds! Not safe. Not on the most grueling and challenging racecourse in North America! Those who have raced the Mint know that this course deteriorates quickly and with each mile it begins to really take its toll on driver AND machine. Bent wheels, flat tires, blown shocks, roll overs, smashed a-arms, blown engines, failed drivelines, and much more were all part of this year’s race. No one came away unscathed! Racers funneled their way into “main pit” in Jean, NV from 3-5am. By 6am the normally quiet Nevada Desert was buzzing and gleaming with the flashing blue and amber lights from a gigantic field of racers. Engines idled, dust stirred, camera flashes popped, and red start lights turned to green. Casey Folks, director of the Best In The Desert series, (of which The Mint 400 is a part of) sent racers rocketing off into the dark, two at a time, side by side, in thirty-second intervals. The chaos of the start line quickly gave way to the battles in the desert! after passing the #1916 of Cody Nygren near mile marker 63. The rough course and aggressive driving were already leading to problems for some race teams. The #1918 of Cognito Motorsports had a frustrating morning, with an early flat. Meanwhile at the end of lap one, a long pit stop from the #1913 Branden Sims allowed 2013 Mint 400 champions Coastal Racing to take the physical lead, and Mark Holz quickly put the pedal down for Coastal. Sims and Schueler were definitely not ready to concede, and chased hard after the #1934. A devastating mechanical issue forced Holz to pull over and hand clean air back to Branden Sims. The #1926 of Jason Fraser made some serious moves early on, and at the end of lap one held the overall lead on corrected time! A clean second lap would put Fraser in great position to take the win over Sims and Schueler. At race mile 115 a quick pass on the short paved section of the course put Brandon Schueler first on the road, but by no means could he relax. A solid pack of racers pushed within striking distance, including the #1931 of Matt Parks and the #1918 of Justin Lambert. Marc Burnett in the 1905 Monster Energy Can-Am Maverick laid down a blistering first lap and was suddenly in the mix as well. Any slip-up by the front-runners would have resulted in a lead change. Branden Sims surged back to the front temporarily, but a flat tire dropped him back to third overall, as #1926 Jason Fraser and #1919 Brandon Schueler made their way past him. It looked as though Fraser was going to run away with the win, but as he approached race mile 170, his rear left wheel ripped of the car suddenly and he skidded to a halt on the side of the course. 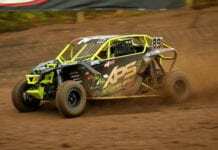 Brandon Schueler quickly raced past him to the lead position with Branden Sims hot on his tail, eager to make a name for himself in the stacked Pro-UTV field. Marc Burnett pushed forward right at the finish as well, hoping to catch Schueler on corrected time. But the seasoned champion would not let this one slip away! Schueler edged out Burnett by a mere eight minutes for the win! Burnett took second. And Branden Sims finished eight minutes after Burnett for a solid third place finish. 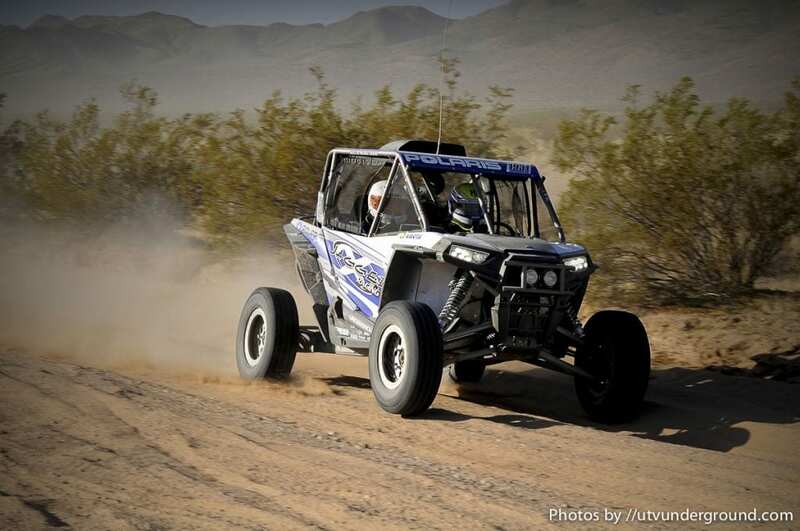 Matt raced the 1931 Jagged X / Polaris RZR into 4th position overall, separated by just under thirty-seconds from the 5th position Can-Am of Murray Motorsports, who won the 2012 Mint 400 the first year UTVs were allowed to race. This year was slightly different as brother Jason Murray was still recovering from a severe injury to his hand suffered in February’s King Of The Hammers race. Despite battling without Jason in the car, Derek and the entire team managed a very respectable 5th place, keeping Can-Am in the mix and proving once again that the Maverick is not to be overlooked in competition. Scott Martinez, driver of the 1951 John Deere RSX helped create the 850 class for the smaller engine UTVs to compete in. In the second race for this new class, two Kawasaki’s reached the top four spots, with first place going to David Lyttle in his brand new 2014 Kawasaki Teryx-4. Scott drove the 1951 Monster Seal / John Deere to 2nd place and Joanne Gonzales would claim 3rd in her 1952 Rowdy Dog / Polaris RZR. Jeff and Terry Kary piloted their #1981 Yamaha Rhino SR1 to a first place finish in the SR1 class.